Broccoli, one of the most productive plants per square yard, produces masses of sprouting spears at the quietest time of the gardening year. 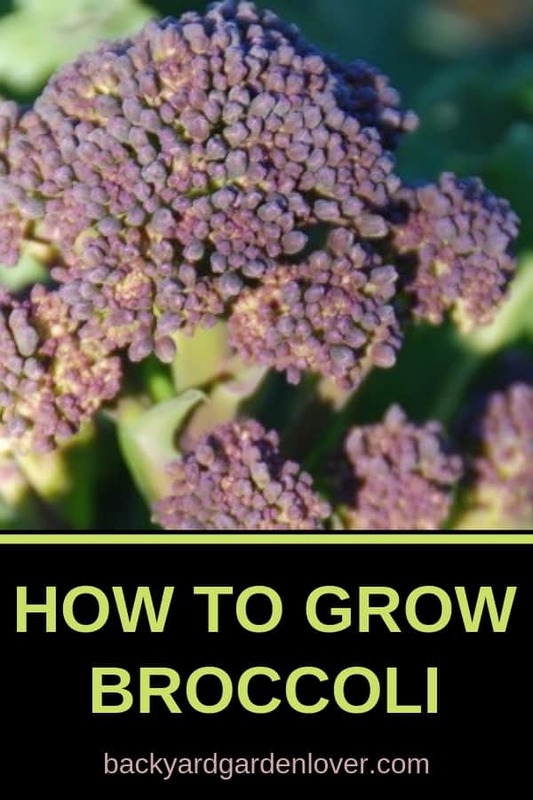 Learn how to grow broccoli and enjoy this cancer fighting vegetable. Broccoli is probably the most confused of all the vegetables. It has been mislabeled in the supermarkets for many years. What you would know as purple sprouting broccoli is true broccoli, not the larger green speared relative, which is actually calabrese. Broccoli is part of the brassica group, which tend to be plants that are large leafy green vegetables. Because they are such large vegetables they need a nutrient rich soil which is particularly high in nitrogen. To achieve these high levels of nutrients you need to to add copious amounts of manure. 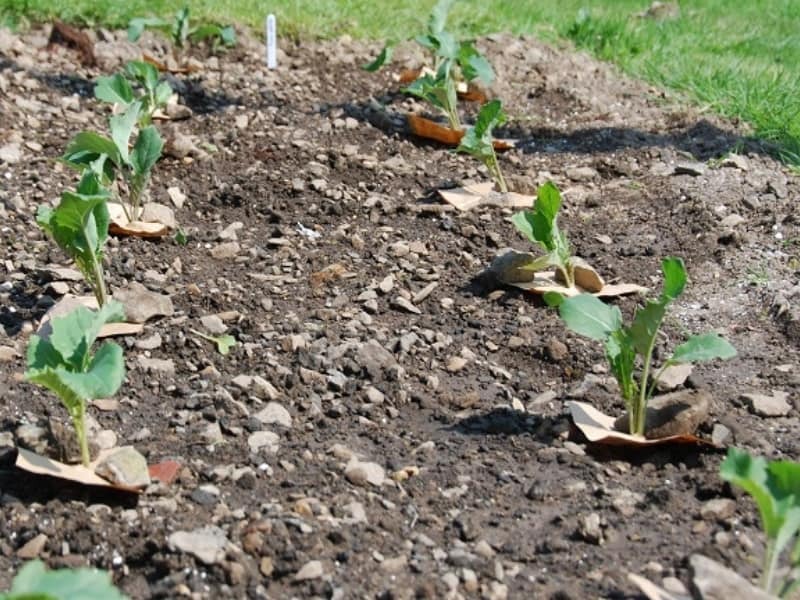 BUT, since manure tends to increase the acidity of the soil, and brassicas will not thrive in acid soil, this does cause a problem with soil preparation. To overcome this problem plant your brassicas in last year’s legume beds. Legumes obtain nitrogen from the atmosphere and store them in root nodules. If left to rot in the soil legumes will help raise the levels of nitrogen in the soil. 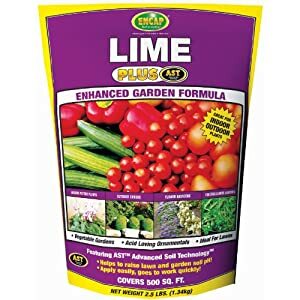 Encap 10612-6 Fast Acting Lime Pouch, 2.5 Pounds, 400-Square Feet Also add a dressing of a fertilizer (fish, blood and bone is a good one), as well as a dusting of lime to make the soil more alkaline. If your soil needs a heavier feed, you could add manure as long as it is well-rotted. 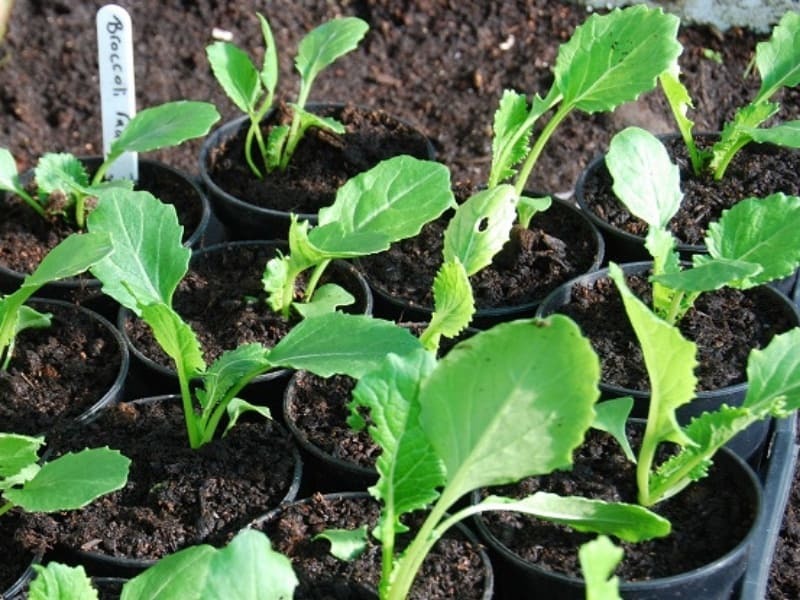 Even better, add it in the fall so that the brassica bed has time to settle and compact. A compact soil is important as these plants can often be damaged by winds. Even a gentle rock can cause damage to the root ball making it difficult for the plant to draw all the nutrients that it needs to thrive. 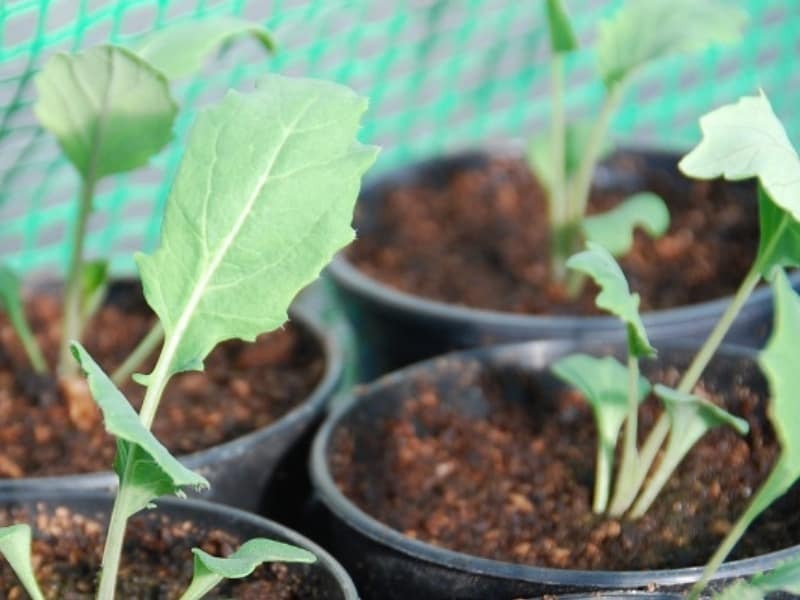 It’s best to start your broccoli plants off in modules or cellpacks early in the year, so that they have a good start before planting in their final position. Sow the seeds in a general purpose compost, thinning to one per module to grow on. When the seedling has a few leaves and is large enough to pot, move it to a 3″ pot using more general purpose compost with a dressing of lime. 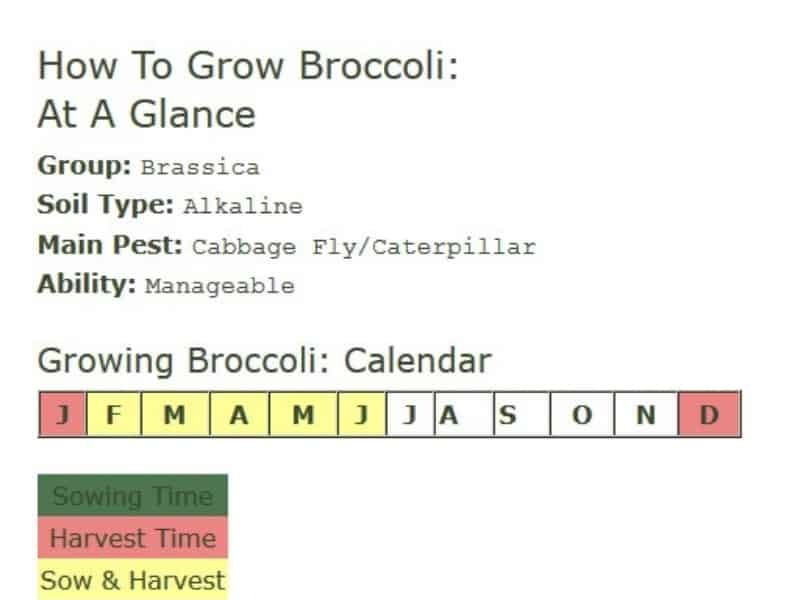 Sow broccoli in modules thinning to one per module. Grow on seedlings in 3″ pots, adding a little lime to remove any acidity. Plant out in a firm soil when plants are large enough. Once the plants have established, put them in their final growing position spacing the plants about a yard apart. You can reduce the spacing in raise beds and by staggering rows, but these plants can be very large, so space is important. Cut a collar to place at the bottom of the plant to stop the cabbage root fly. There are a number of pests and diseases that affect all of the plants in the brassica group. Club root is a soil dwelling disease that causes the roots of the plant to become distorted and swollen. If your soil suffers from club root, it does not mean that you cannot grow brassicas, but it does make it extremely challenging. To avoid the problems of club root, pot on your plants from a 3″ pot to a larger 6″ pot and grow the plant on further. 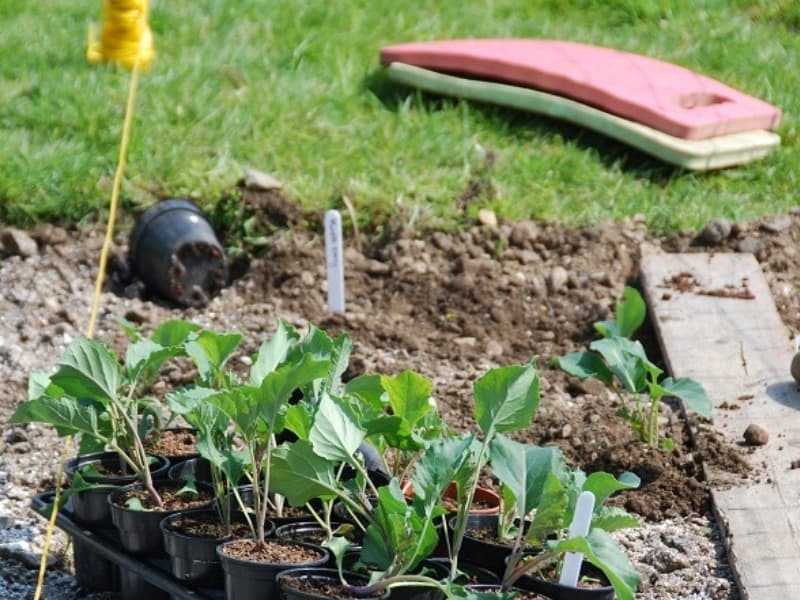 When it is time to plant the broccoli, dig a large hole and line the hole with compost and lime before planting. 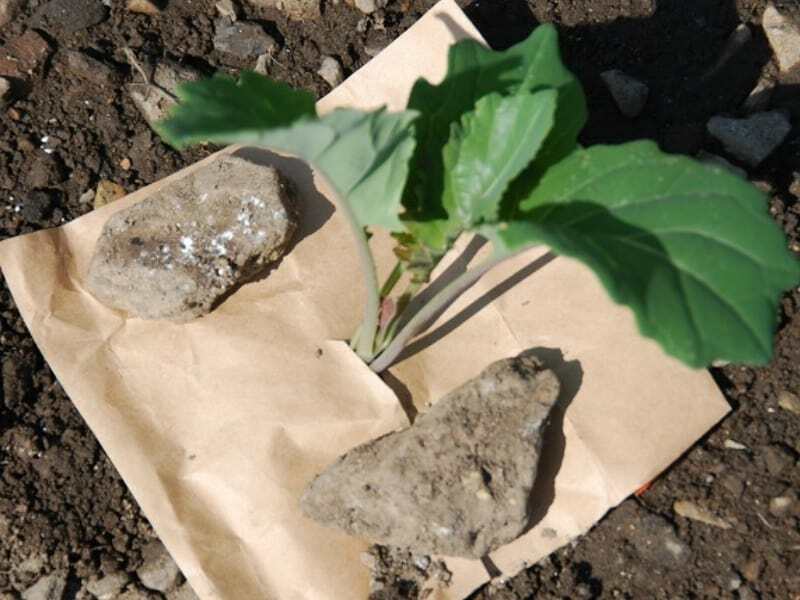 Although most brassicas can be grown quite well in a soil infected with club root, broccoli may struggle as it spends so much time in the soil. Cabbage root fly is another problem insect, although it is quite easy to protect your plants against this pest. Simply create a flat square barrier that fits around the stem of the plant, the barrier can be made from roof felt, carpet underlay or from cardboard. A hungry family of caterpillars can turn broccoli leaves into skeleton leaves really quickly. The best way to deal with these critters is to remove the eggs before they hatch, and a weekly check on the underside of leaves will help you to stay in control. However an attack of caterpillars will not be as devastating as an attack on a cabbage plant. Since you are not growing edible leaves, and at the time of sprouting there will be no caterpillars yet. To disguise your plants from these insects plant your broccoli with dill and rosemary, and if you grow nasturtiums among these plants, any caterpillars that hatch from eggs you miss will be attracted to the nasturtiums they love to eat. It is very difficult to tie down the harvest time for broccoli as it is very weather dependent. In a warm spring broccoli should readily sprout starting in March, although in certain conditions and with certain varieties you could be picking broccoli from December. As soon as the broccoli spears are ready pick them. It does not take long for the broccoli to become bunches of tiny yellow flowers, and the more often and the more regularly you pick, the more broccoli you will have. Broccoli is very easy to cook: just steamed for 5 minutes will give you the perfect, delicate home grown vegetable. You can also freeze broccoli: just blanch for 30 seconds and plunge into ice cold water to stop the cooking process, before draining and freezing. Broccoli is great for risottos and stir-fry, and if you have a glut, broccoli with Stilton cheese makes a delicious soup. You could even griddle broccoli spears with sesame seeds to top a mixed salad. YUM! I hope you now know enough about how to grow broccoli and you’re excited about growing your own. BTW, you can grow broccoli in raised beds as well as in pots: just need to get some larger post for them.